Illinois Wing was activated at the request of the Air Force Rescue Coordination Center on 10 August 2015 to search for a missing aircraft N9684U. The activation occurred on mission number 15-M-0479. This mission was closed with the AFRCC as 1 distress find. 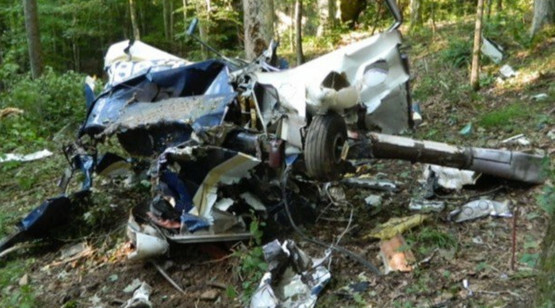 On August 9, 2015, about 2050 central daylight time, a Grumman AA-5A airplane, N9684U, impacted terrain in the Shawnee National Forest near Harrisburg, Illinois. The student pilot and passenger were fatally injured. The airplane was substantially damaged. The airplane was registered to and operated by a private individual under the provisions of 14 Code of Federal Regulations Part 91 as a personal flight. Dark night visual meteorological conditions prevailed for the route of flight, and no flight plan was filed. The flight originated from the Marion-Crittenden County Airport (5M9), Marion, Kentucky, about 2030, and was en route to the Williamson County Regional Airport (KMWA), Marion, Illinois. The airplane was located on August 10 in a heavily wooded area of the Shawnee National Forest. At the beginning of the debris path, several broken and downed trees tops were found with airplane wing parts suspended in the trees and on the ground. About 55 yards from the start of the tree strikes was an impact point that was about 2.5 feet deep. Near the impact point was the main wreckage. The debris field was aligned with a 320° magnetic heading and continued another 25 yards. A search of radar facilities did not find any primary or secondary radar targets consistent with the accident airplane. The airplane’s exact route of flight could not be determined. The emergency location transmitter (ELT) was found separated from the airplane and the switch was found in the OFF position. Data from the Geostationary Operational Environmental Satellite (GOES) 13 system found that at 2035, the accident site was located in an area ahead of a large mesoscale convective system (MCS). The National Oceanic and Atmospheric Administration (NOAA) National Severe Storms Laboratory defines a MCS as “a collection of thunderstorms that act as a system. An MCS can spread across an entire state and last more than 12 hours.” Astronomical Conditions for the accident site found that the moon had set at 1648 and was below the horizon at the time of the accident. Officials say hikers found debris from the plane just after 6:30 p.m. on Monday, Aug. 10 and called for help. Be the first to comment on "CAP Steals FIND of Downed Airplane Found by Hikers"